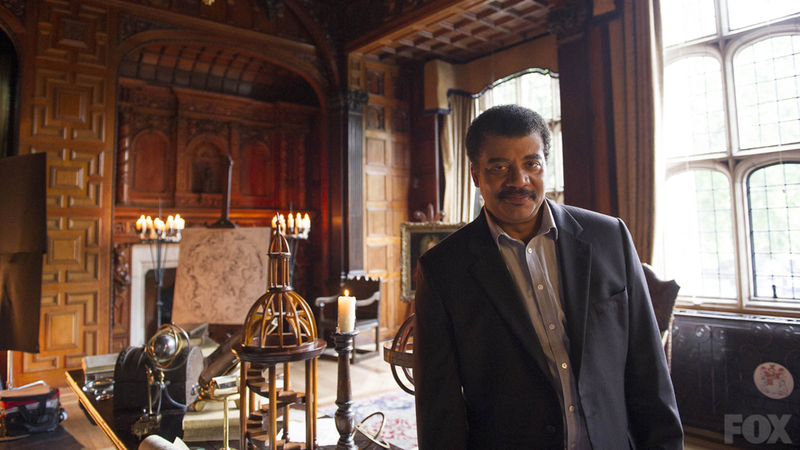 As Jay Richards observes, Tyson calls Newton a “God-loving man” and “a genius.” At the same time, Tyson tells viewers that Newton’s religious studies “never led anywhere.” Similarly, Tyson acknowledges that Newton’s work suggested the universe was “the work of a master clockmaker,” but he says that Newton’s appealing to God is “the closing of a door. It doesn’t lead to other questions.” In other words, it was only when Newton wasn’t doing religion, and was doing science, that he contributed anything positive. If anything, Newton’s religion hindered scientific advance. Tyson’s message is simple: the best way to do good science is to throw off the shackles of religion. History, in contrast, tells a different story. Early scientists including Newton were inspired to their scientific research precisely because of their religious beliefs. Newton was a monotheist who believed in a loving, truthful, personal God who would create an orderly, intelligible universe that God wanted us to discover and enjoy. It was these theological beliefs that propelled Newton to study the laws of nature. Of course Tyson tells viewers none of this. To promote his revisionist history, he had to ignore numerous prominent historians of religion and science. Don’t take it from me — take it from them. Brooke continues: “For Newton, as for Boyle and Descartes, there were laws of nature only because there had been a Legislator.” (p. 9) These early scientists wanted to discover the laws that God had built into the natural world. They searched for those laws because they believed in a “Legislator.” Cosmos again ignores, contradicts, and revises this history. Lest you dismiss John Hedley Brooke, he is no religious apologist. He formerly taught at Oxford (among many other schools), and has served as president of the British Society for the History of Science and the International Society for Science and Religion. It’s not hard to understand how the founders of the world’s most prestigious and long-lasting scientific society — who believed in a wise and powerful Creator — would then be inspired to investigate the “workmanship” of that Creator. In its Episode 3, Cosmos admits that early intellectual giants of science like Hooke, Newton, and Halley were a part of this same society, but Cosmos omits any mention of the important religious influences within that group. Religion and the founding of modern science went hand-in-hand, but Cosmos doesn’t tell viewers any of that. Are Christianity and science at war with one another? Not according to leading historians. “The greatest myth in the history of science and religion holds that they have been in a state of constant conflict,” wrote historian of science Ronald Numbers in 2009. Even though he and other historians of science have documented this conclusion thoroughly, many myths about the alleged warfare between science and religion continue to be promulgated in the popular literature and textbooks. The truth is that science and biblical religion have been friends for a long time. Judeo-Christian theology has contributed in a friendly manner to such science-promoting ideas as discoverable natural history, experimental inquiry, universal natural laws, mathematical physics, and investigative confidence that is balanced with humility. Christian institutions especially since the medieval university, have often provided a supportive environment for scientific inquiry and instruction. Dr. Keas goes on to debunk these myths, He explains in detail how Judeo-Christian theology provided the fertile ground that was necessary and natural for that development. Read Dr. Keas’s essay for the full argument — it’s free online. Cosmos Episode 3 tells us that Isaac Newton’s religion was like the “the closing of a door,” and “never led anywhere” because belief in God “doesn’t lead to other questions.” This is historically wrong. A chorus of modern historians of science and religion observe that Judeo-Christian conceptions of God played an important, positive role in the rise of modern science. Not only that, but Judeo-Christian religion is crucial in answering a question that has long puzzled historians: Why did modern science only arise in the West? Cosmos whitewashes all of this, presenting instead a shallow revisionist formula: science good, religion bad. If the founders of modern science themselves thought in such simplistic terms, we never would have had science. John Hedley Brooke, “Science and Theology in the Enlightenment,” in Religion and Science: History, Method, Dialogue, W. Mark Richardson and Wesley J. Wildman eds. (Routledge, 1996). Ian G. Barbour, Religion and Science: Historical and Contemporary Issues (HarperSanFrancisco, 1997). Michael Keas, In the Beginning Episodes in the Origin & Development of Science, Salvo (Special Science & Faith Issue, Salvo 26, Summer 2013). David C. Lindberg, “Medieval Science and Religion,” in The History of Science and Religion in the Western Tradition: An Encyclopedia, Gary B. Ferngren ed. (Garland Publishing, 2000). Richard P. Olenick and Tom M. Apostol, The Mechanical Universe, Introduction to Mechanics and Heat (Cambridge University Press, 1985). Holmes Rolston, III, Science and Religion: A Critical Survey (Harcourt Brace, 1987).